The symbol of urban cool, the Lime electric scooter, has failed to reappear in Devonport in any numbers following a recent suspension of the company’s licence. A quick glance at the Lime app at press time showed just one in Devonport and another in Takapuna. Prior to the suspension, scooters were usually easy to find on the Devonport peninsula. Lime says the scarcity is an operational decision based on a review of usage prior to the temporary ban. It says its fleet of 1000 scooters is only just able to meet demand in the Auckland CBD, so has not been redeployed to other areas where they were not used in such great numbers. “If the local Devonport community would like to have more Limes, we suggest they write to their local councillor to request an increase in the fleet numbers,” the company’s public affairs manager Lauren Mentjox said. Lime does have a few ‘juicers’ – people who collect and recharge the scooters overnight – in the area, but would need to recruit more if demand lifted. Auckland Council suspended Lime’s licence on 22 February, as a result of a fault that saw some of the scooters’ wheels seizing up while in motion. The temporary ban was lifted on 1 March, but the company took a further week to test its scooters before returning them to CBD streets. 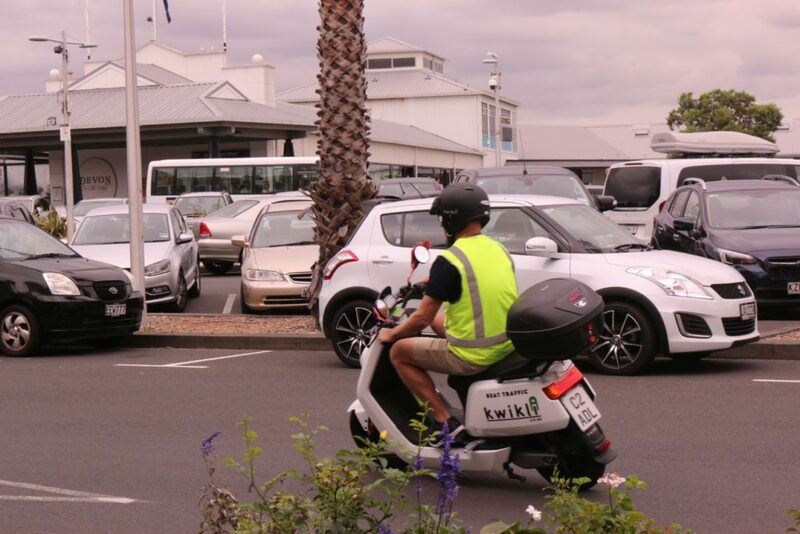 Meanwhile, the country’s first shared electric mopeds are being piloted in Devonport and Takapuna, where tourists and locals have been using them to zip around silently. Kwikli launched its fleet of 10 mopeds in mid-November and by mid-March they had clocked up 530 rides, or around 30 per week, with 4200km travelled in total. “We have a number of regular users, as well as groups of friends, who like to explore the North Shore on our mopeds,” Kwikli chief executive Rushabh Trivedy says. So far, there have been no injuries reported to ACC, nor have any scooters been stolen or vandalised. The e-mopeds have a top speed of 50 km/h and riders must have a driver’s licence. If you want to use a Kwikli scooter, you need to sign up for the app and pay a $1 joining fee. After that it’s $2 per ride and 35 cents per minute. They can be used in the transit lanes, but not on footpaths or motorways. A volunteer who tried out the scooter for the Flagstaff found the app a bit clunky, but then enjoyed the 6.9km ride, which at 14 minutes, cost $6.90. The rider, who didn’t wish to be named, would consider using it again if traffic congestion was particularly bad. The scooters need to be parked in motor- cycle bays and the Kwikli app shows five green zones between Devonport and Takapuna where its scooters can be parked without incurring an $80 charge. 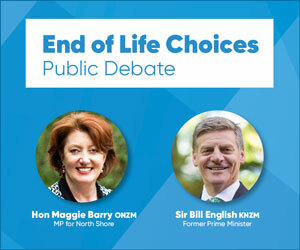 This article originally appeared in the April 5 edition of the Devonport Flagstaff. Download PDF.